Jalen March’s solo home run in the third fired up the Curley offense and the Friars went on to score in their playoff victory over Loyola. When the MIAA A Conference baseball playoff bracket was announced, it was said that anything could happen and, two rounds in, it has. Already, sixth-seeded Gilman has knocked off third-seeded Calvert Hall and, Monday, the Greyhounds sent second-seeded John Carroll, a team which spent much of the season ranked No. 1, into the elimination bracket with a 5-3 victory in Bel Air. 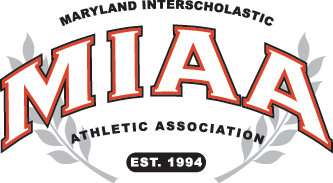 Also on Monday, fifth-seeded Archbishop Spalding ended Calvert Hall’s season with a 4-3 win in Towson. The one team which has held serve is top-seeded and No. 1 ranked Archbishop Curley, which exploded for eight runs in the fifth inning of its winners’ bracket showdown with defending champion Loyola to 10-run the Dons in a 12-2 five inning victory, on Monday. The flurry of activity has resulted in Gilman traveling to Curley on Wednesday for the winners’ bracket final and the winner of that game will advance to Sunday’s finals at Harford Community College. Because the tournament rules state no team can have a double-bye, second seeded John Carroll will return to action on Tuesday as the Patriots host Spalding in the event’s second elimination game. The winner of that game will play Loyola on Wednesday. If it’s John Carroll the game will be in Bel Air. If it is Spalding, the contest will be at Blakefield where the Dons defeated the Cavaliers, 4-2, in the opening round on Friday. At Curley, a marque pitching match-up was expected as aces Paul Nixon of the Friars and Matt Wyatt of the Dons took the hill and that is exactly what was delivered in the early going. Curley (26-4) broke on top in the bottom of the second as catcher Trent Gast-Woodward led off with a double to left. Wyatt struck out the next two Friars and made a pitch that should have gotten him out of the inning, but Gavin Evans’ grounder scooted through the legs of Loyola shortstop Dominic Dinoto, allowing Gast-Woodward to race home with the game’s first run. Curley’s Jalen March then made it 2-0 in the bottom of the third as he drove the first pitch he saw over the center-field fence for his sixth home run of the season. March said it wasn’t exactly the pitch he expected. “I was looking for a first ball fast ball, right down the plate, but he threw a slider and I just roped it right up the middle,” said March of his home run swing. Loyola (15-10) struck back in the top of the fourth as Nixon, who had yet to allow a base hit, hit a pair of Dons and with two down, Loyola pulled off a double-steal to put two in scoring position. Chris McDonald then took advantage by hitting a ball through the left side for Loyola’s first hit and scored both runners to tie the game at 2-2. Curley answered right back in the home half of the inning, as Gast-Woodard and Nick Brown opened the inning with back-to-back singles. Courtesy runner Derrick Booker took third on Brown’s hit and scored on an RBI ground out by Corey Burton. Evans followed with a single to advance Brown to third and Nick Richardson scored him with a sacrifice fly to right, as the Friars led 4-2. It stayed that way until the Curley fifth when the Friars put things away. Nixon had a pair of hits in the inning, including an RBI single that drove in the final two runs to produce the walk-off run-rule victory. Brown drove in the first two runs with a bases loaded single, with no one out. Evans then chased Wyatt from the game with a one out RBI base hit. Austin Mumaw came on to pitch for the Dons and he was greeted by an RBI single off the bat of Richardson, stretching the Curley lead to 8-2. Following a walk to Jordan Stroud, which loaded the bases again, Tyler Locklear ripped a two-run single and advanced to second when the throw went through to the plate. Mumaw then hit March to re-load the bases, bringing Nixon to plate. Tyler Campbell came on to face the powerful slugger and Nixon ripped his first pitch into the left-center gap to chase home Stroud and Locklear to end the game. Paul Nixon was the picture of poise as he limited Loyola to just two hits in a five-inning complete game effort for Curley. Nixon, who is now 8-2 on the hill this season, allowed just two hits on the mound and hit three batters. He did not allow a walk, however, and struck out 10 in just five innings to get the win. He also survived a bit of scare in the Loyola fourth. After McDonald’s hit plated the Dons’ only runs, Jay Schouten hit a shot back to the mound that knocked Nixon’s glove from his hand and struck him in the palm of his left-hand. He recovered to throw to first for the out, but left the field flexing the hand. After the game he said it was sore and a bit swollen, but it did not affect him on the mound or at the plate, a fact he proved. The imposing right-hander was subdued after the win stating that his club still has work to do. Wyatt was over-powering at times, as he struck out seven Friars, but he did walk two and allowed eight hits and he was charged with nine runs, including six in the fifth. Mumaw did not retire a batter and was charged with three runs on two hits. Like Nixon, Gast-Woodard said the Friars have to remain focused on what is ahead. Curley coach Brooks Norris acknowledged that one of their keys to success against Wyatt was to attack the first pitch strike. Loyola coach Mike Kelly said his team will fight on in the elimination bracket. Pictured above: Paul Nixon (#9 on left) is embraced by his teammates after his second hit of the fifth inning produced two runs and a run-rule walk-off victory for the Friars, over Loyola in the MIAA A Conference baseball playoffs. In its victory over John Carroll, Gilman broke a 1-1 tie with three runs in the third inning and added one run in the fourth, before holding on for the victory. Max Costes started the winning rally with a leadoff single in the third. With one out Alex Slodzinski singled and his hit was followed by an RBI single by Joe Melancon. The with two down, Tyler Martinez ripped a two-run double to stretch Gilman’s lead to 4-1. In the Gilman fifth Jackson McCambridge hit a leadoff double and scored on a two-out double by Casey Bishop, stretching the Greyhound lead to 5-1. John Carroll (19-5) bracketed walks by Ryan Archibald and Tyler Blittersdorf around a single by Nick Collier to load the bases with no outs in the home half of the fifth, setting the stage for an RBI single by Nico Santoro. With the bases still loaded, Gavin Wingard plated JC’s third run on a infield ground out. Stelio Stakas then drew a walk to load the sacks again, but Brad Hock grounded into an inning ending double-play to end the threat and keep Gilman’s lead at two, where it stayed. Gilman’s first run of the game in the top of the first when Costes hit the second pitch of the game from John Carroll ace Collier over the left-field fence. Collier got the run back in the bottom of the first with an RBI groundout, scoring Johnny Gallant who walked and advanced to third on a single by Archibald. As he did on Friday at Calvert Hall, Gilman coach Larry Sheets used four pitchers to navigate the contest and used the same four in the same order. Ace Mike Willis tossed the first two frames, allowing one run on two hits. Matt Leikus went the next inning and a third and allowed two run on two hits. He was also the beneficiary of Gilman’s three-run third and was credited with the win on the mound. Peter Heubeck followed with 2.2 strong innings, allowing no runs and no hits, while striking out three and Costes closed it out with a scoreless seventh. Since losing its first game of the year, which came at Gilman (14-12) on April 23rd, following a 16-0 start, John Carroll has gone 3-5 and will need to find a way to regroup if hopes to end what has been a special season with a championship. Collier took the loss, going all seven innings and allowing nine hits and five runs, while striking out 11 Greyhounds. Calvert Hall, which was the hottest team in town not too long ago and a club which ended the regular season with an impressive win at Curley, finds itself at 0-2 and out of the tournament earlier than anyone might have imagined, with its loss to Spalding. The Cardinals were the runners-up to Loyola last year and had reached the finals in 12 of the last 13 years. All of the scoring came in the middle innings as Spalding scored two times in both the third and fourth innings, while Calvert Hall (17-10) got all three of its runs in the bottom of the third. The Cavaliers (17-12) staged a two-out rally in the second went Jonathan Brandt started things with a single, followed by a walk to Justin Caesar. Justin Pelletreau followed with an RBI single and the second run scored when Josh Moylan’s line drive to left was mishandled for an error. Calvert Hall also scored its runs with two outs and none on. J.P. Murphy walked and Jose Torres singled before Mason Unfried plated Murphy with a single to left. Dominic Freeberger then walked Roberto Barranca drove in two more with a single to right. In the Spalding fourth, Nick Benitez opened the inning with a single and moved to third on a double by Ethan McCormick. Austin Dillon drove home Benitez with a sac fly to center and McCormick moved to third on the play. With Peter Godrick at the plate, a wild pitch by Dan O’Connor allowed McCormick to race home with what proved to be the winning run. Peter Marchineck made the start for the Cardinals and allowed five hits and all four runs. He pitched into the fourth before being lifted for O’Connor with no outs, after McCormick’s double. O’Connor and Dom Freeberger each pitched two innings for the Cardinals. Justin Caesar made the start for Spalding and he allowed six hits in three innings and all three Calvert Hall runs. Nate Vermillion worked the final four innings and held the Cardinals scoreless as he allowed only two hits and struck out three.